When is the last time you made waffles? I don’t mean the kind you buy in the freezer section of the supermarket. I’m talking homemade waffles. If the answer is I don’t know or never, it’s time to dust off that waffle maker. Next week during the holidays take out the waffle maker since you will have more time for leisurely breakfasts. 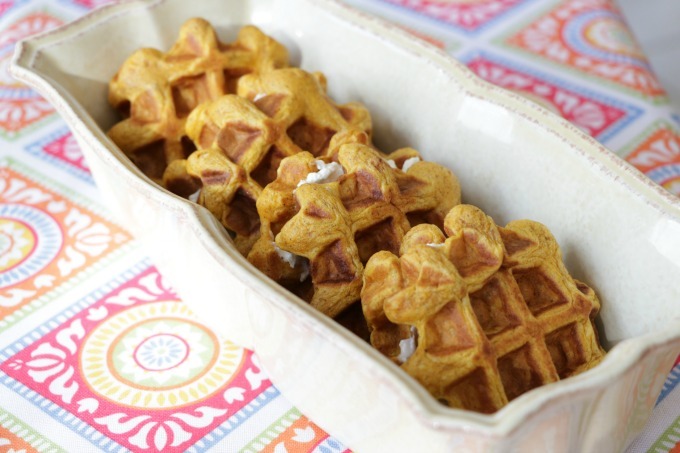 These pumpkin waffles are delicious alone but when you make a sandwich out of them by adding maple cream cheese, you will take them to a whole new level. If you are entertaining, these will wow your guests for sure! If waffles are intimidating, let’s break it down. You need two bowls, one is for dry ingredients and one is for wet ingredients. You could even mix together your dry ingredients the night before. The dry ingredients consist of flour, brown sugar, baking powder, baking soda, salt, cinnamon, ginger and cloves. Are you still with me? That wasn’t too hard. For your wet ingredients you will need eggs, buttermilk and pumpkin. Combine your dry ingredients with the wet ingredients and give it a good stir. Your waffle maker should be preheated. I have a Cuisinart waffle maker that works perfectly and is easy to clean. Spread some batter into each of the four sections. 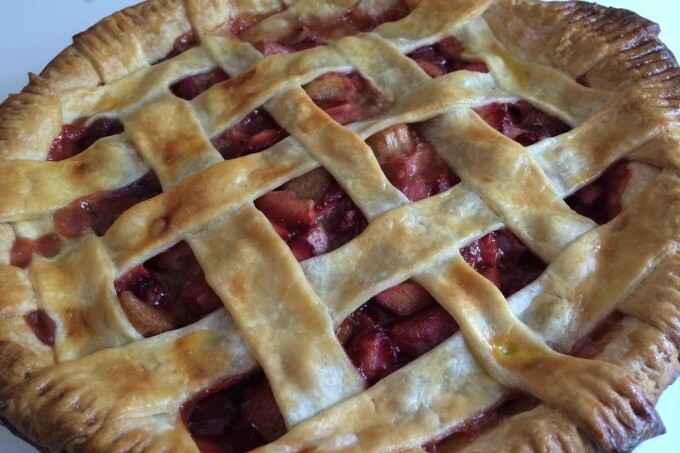 You don’t want to add too much or else it will seep out the sides. After your first batch you will know how much to add. Close the lid and wait for a beep that tells you they are done. This recipe makes a lot of waffles so you will want to have a parchment-lined pan waiting. I like to keep them in the oven on a low temperature while I finish making the rest. 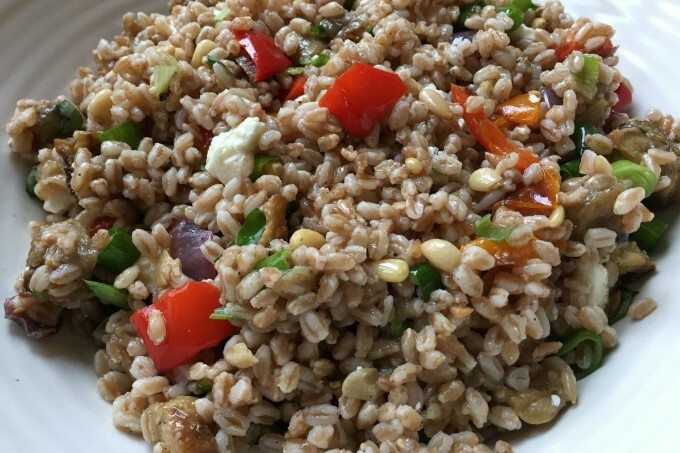 The filling is very quick to make. 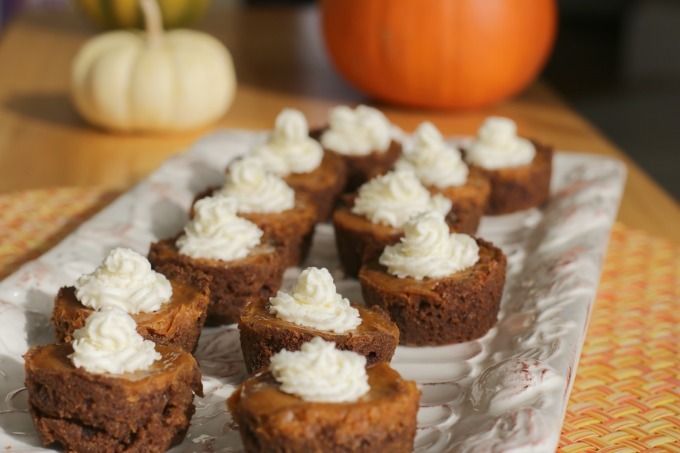 Simply combine whipped cream cheese with maple syrup. 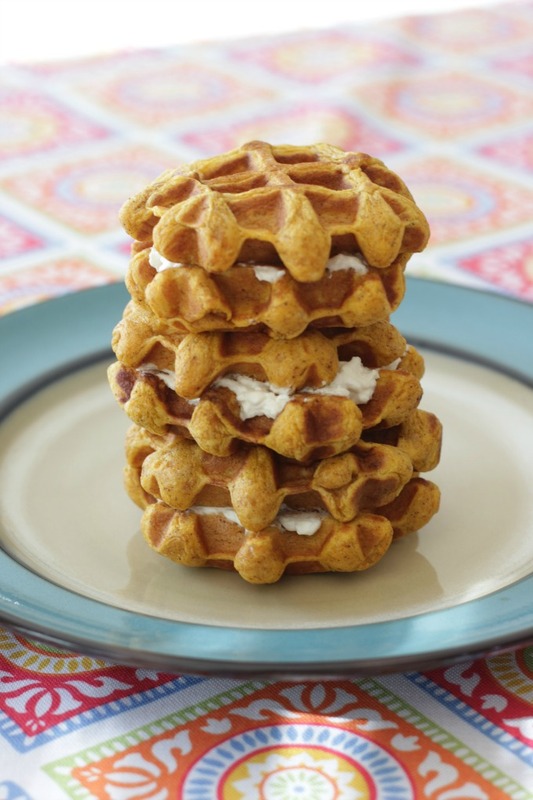 Spread one to two spoonfuls on a waffle, top with another and voila, you have the perfect breakfast! These waffles freeze beautifully so if you want to make a batch ahead of time, just defrost them the night before you want to eat them. I hope you have a happy and peaceful holiday season! Preheat oven to 250. Preheat waffle iron. Combine flour through cloves in a bowl with a whisk. In a separate bowl combine eggs, buttermilk and pumpkin. Add wet ingredients to dry ingredients and stir until combined. Spray waffle iron with cooking spray. 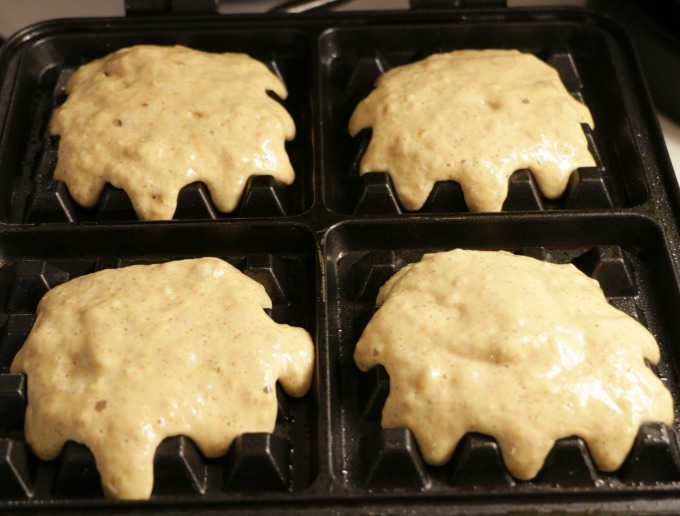 Spoon batter onto waffle iron and close to cook. Cook according to manufacturer's instructions. 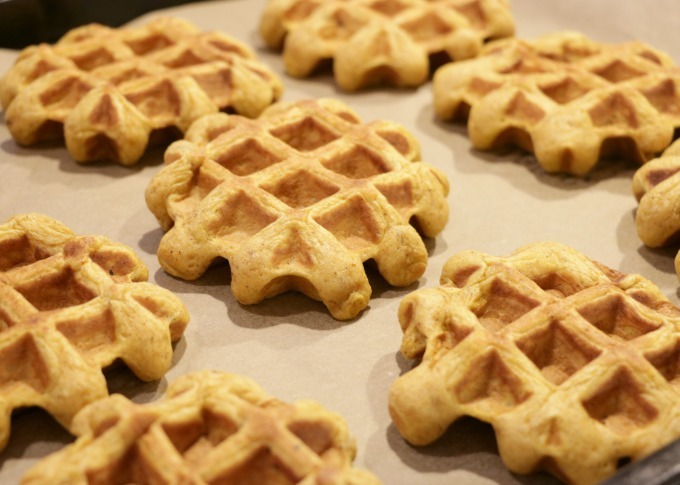 Transfer waffles to oven to keep warm while you cook remaining waffles. In a small bowl combine cream cheese and maple syrup. Spread 1-2 tablespoons on a waffle and top with another waffle. Serve and enjoy!